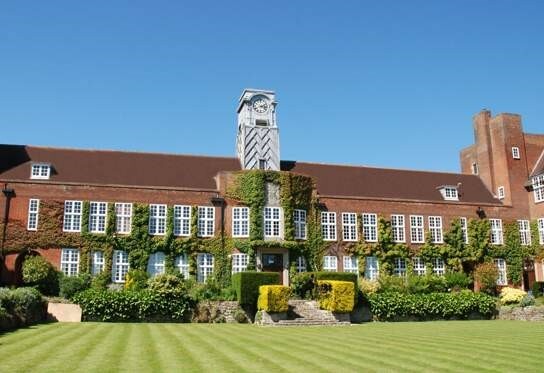 Sutton Vallance School near Maidstone, Kent has ordered a new school bell to be cast with a suitable inscription marking the sacrifices of the First World War. 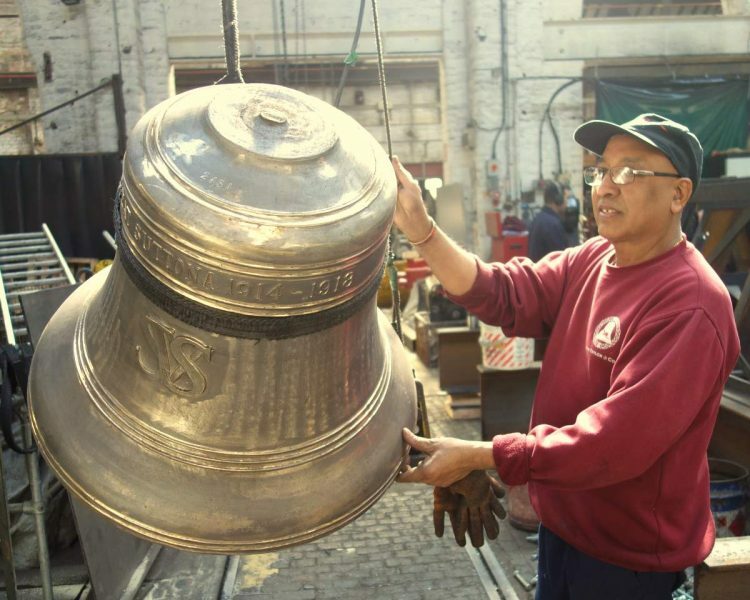 The bell will have a diameter of 28″ and weigh 4 cwts. 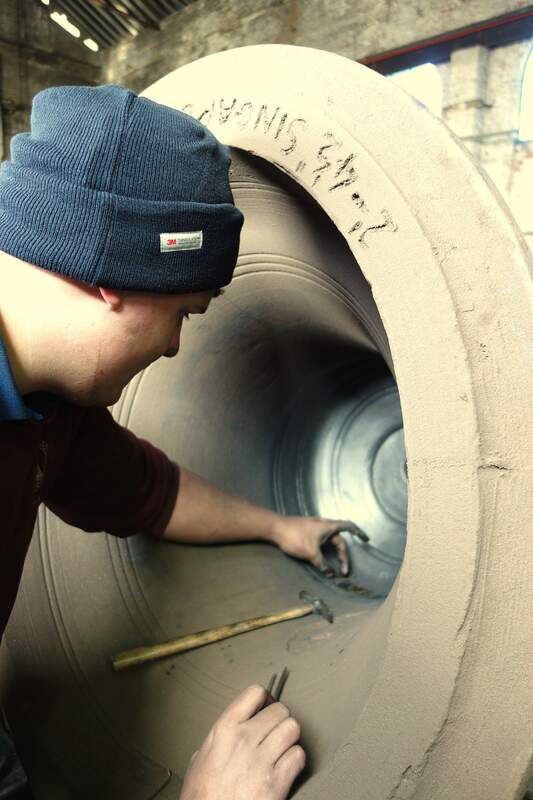 It is due to be cast in February and will be supplied with an electro-magnetic hammer and programmable unit. 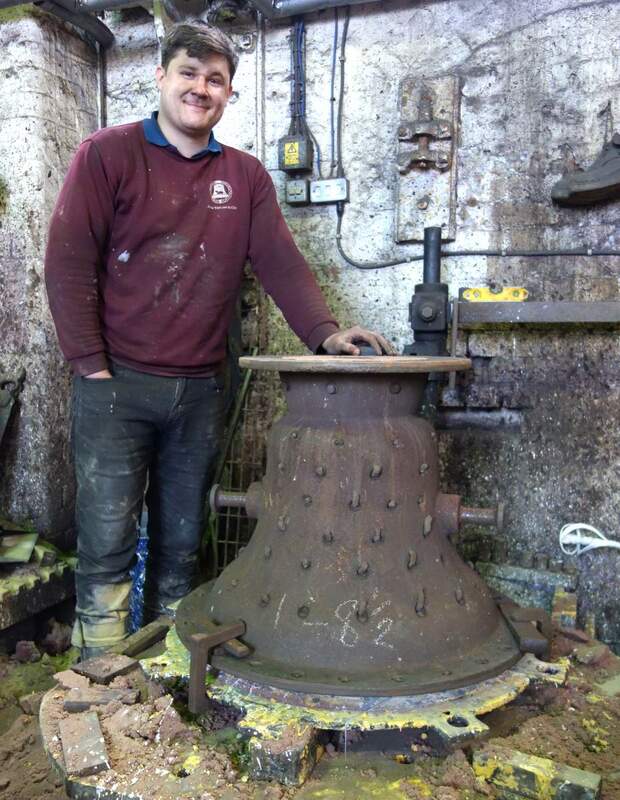 Foundryman, Anthony Stone with the bell mould before casting. 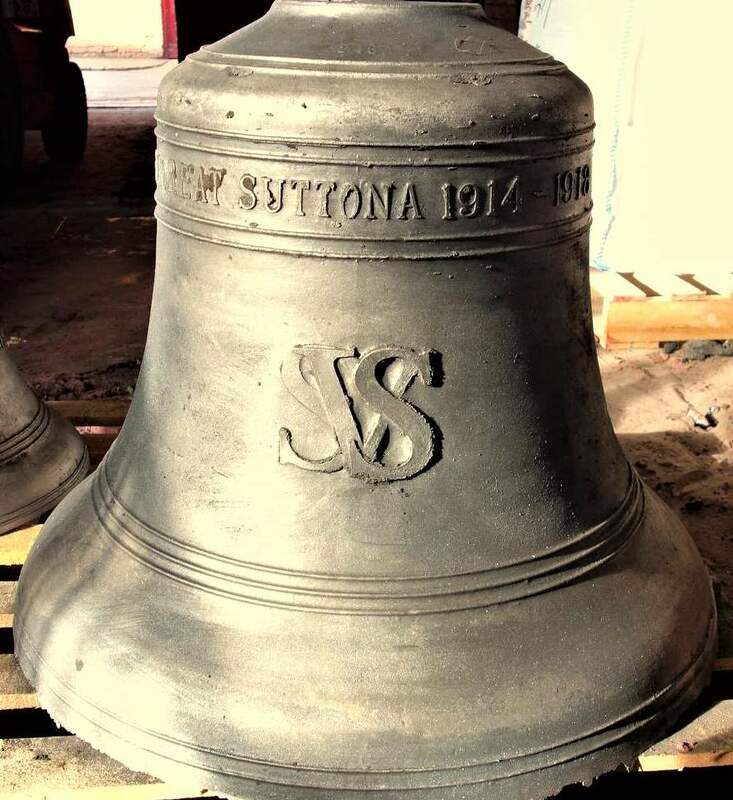 The new bell after fettling. 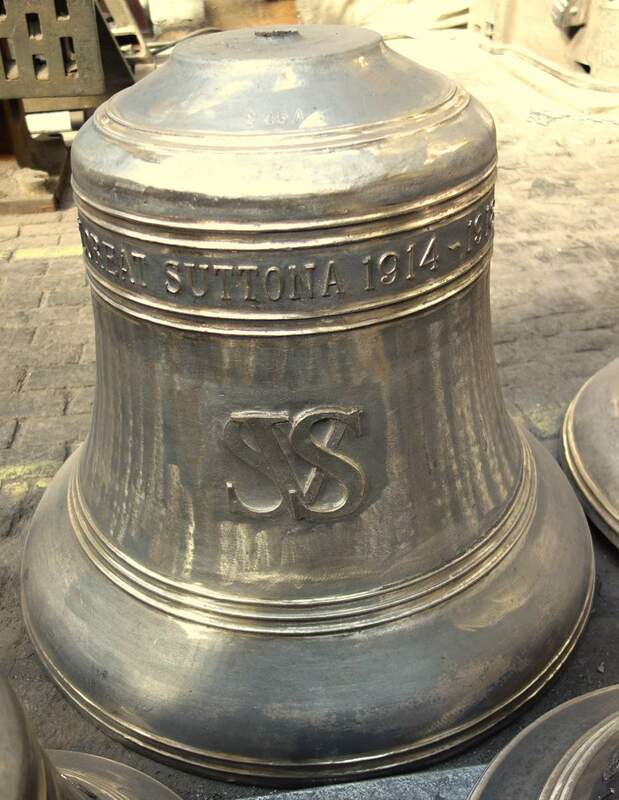 This new bell was cast on 7th February 2019. 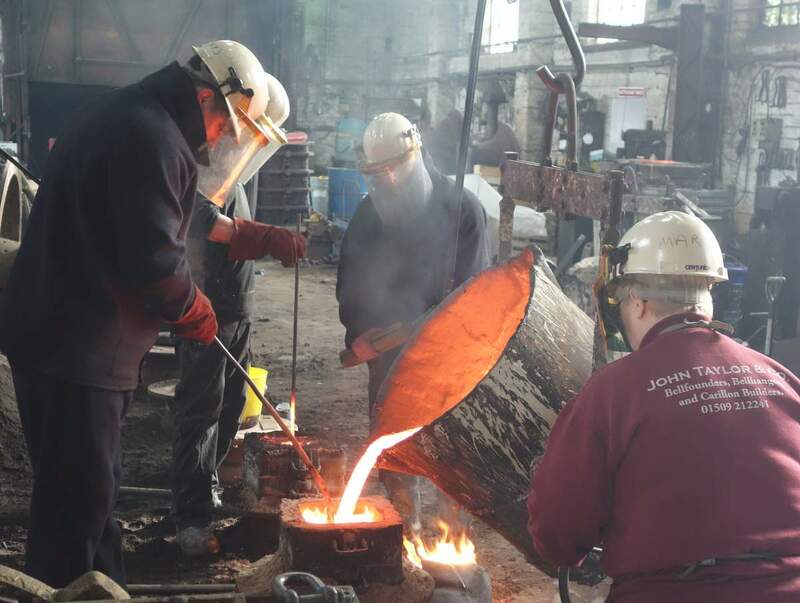 It has been dug up and is a beautiful casting - fettling has been completed - tuning is now underway.